In an effort to better serve New Yorkers with disabilities or other access and functional needs, New York City Emergency Management would like your help. We're about to embark upon a planned upgrade to our Advance Warning System website and we'd like your feedback to help us determine the most effective ways to help you share timely and accurate emergency information to the people that you serve. The purpose of the Advance Warning System is to alert individuals with special needs to various types of hazards and emergencies in New York City that may affect their independence and their daily lives. Participating agencies and organizations like yours receive public preparedness and emergency information that is designed to help you inform the people that you serve across the city. In order to ascertain how well the system works and where we can improve it we've put together a quick survey that will take you about five minutes to complete. 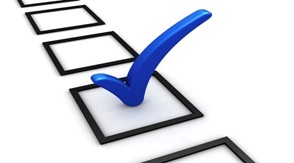 Please click here to take the survey. Your participation will help us improve our outreach to people with disabilities or other access and functional needs. If you cannot access the survey using the link above you may fill out the .pdf version attached and e-mail it to Christopher Pagnotta, Advance Warning System and Community Outreach Specialist at cpagnotta@oem.nyc.gov.